Direct thermal printers work with the paper in direct contact with the thermal printing elements. It is therefore critical that the paper chosen is neither abrasive nor corrosive to the delicate printhead unit. The thermal properties of the paper are also important so that the image forms properly at the correct density and to ensure it is properly developed and 'fixed' to prevent premature fading. We supply only the best quality direct thermal rolls so you can be sure of the best performance, print quality and longevity of both your printer mechanism and your printed copies. It is widely publicised that thermal printout is not permanent and should not be used for archiving important information. In fact, although the printed image is vulnerable to UV light and prolonged, excessive ambient temperatures, thermal printout can be stored for long periods. The standard paper is guaranteed for 5 years when stored under proper conditions (i.e. in a manilla envelope at room temperature in a dark place) such as in a filing cabinet. Ten year and even 25 year papers are also now available. Low prices assured - why go elsewhere for consumables? For direct thermal miniprinters, POS, receipt and journal printers, industrial data logging, weighbridges, medical equipment etc. 31g 35g 62g 80g . .
Porti P340 MLX2280 WSP-CP360 Porti T380, WSP-CP380 Kyorack, Porti P440 . 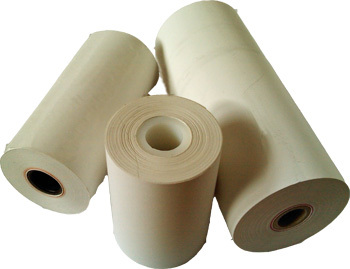 We carry a wide range of direct thermal paper rolls. The consumables listed on this page are only a selection of either the most popular types, or products matched to our most popular ranges of miniprinters.